Yesterday night, vandals attacked our home. A brief documentation…. Funny, a friend currently in Northern Ireland keeps sending us pictures of murals, but why go so far when you have them right in your backyard?! Do you have better pictures of this wall? (higher resolution, better perspektive) It would be cool if you could send it, i would post it on the antifa streetart blog. 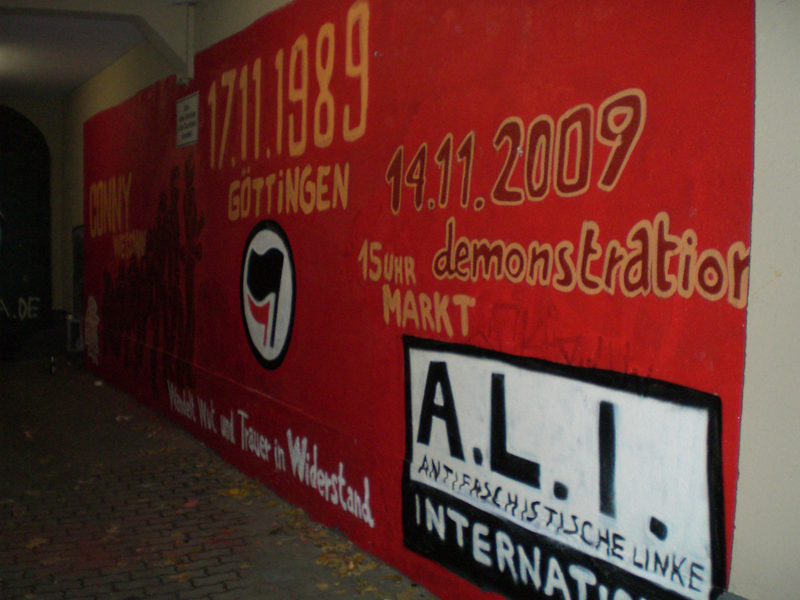 antifastreetart: lässt sich organisieren. paar tage bitte. 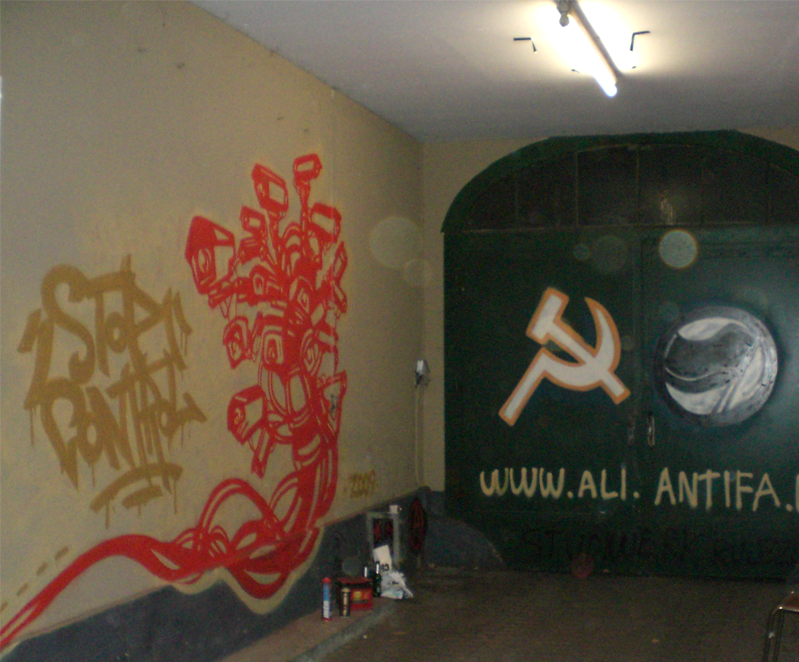 The comrade in Ireland sent us pictures of ummm…not sooo great murals, although there are of course many very spectacular ones there. Weve *demanded* more and better pictures…mal gucken was passiert.